Ethics of a TEA Party Activist: Part III ( “IF YOU’RE NOT ANGRY, THEN YOU’RE NOT PAYING ATTENTION!” ) | Virginia Right! The TEA Party is comprised primarily of angry old white men. To prove it, I will show you five videos of an old white man yelling at a TEA Party rally about impeaching Obama. Done deal. The TEA Party is racist. The TEA Party is too passionate, they tell me. The TEA Party is too angry, they say. To this I have the same question for the “moderates” and other uninformed citizens lost out there in the political matrix. Do you have the slightest idea why they are so upset? Chris Matthews feels a tingle up his leg. Jay Carney has a dream about Vladimir Lenin. Much of public opinion exists in the minds of the uninformed and uninformable (Yes, I can invent new words). They accept truths on the basis of five second videos followed by six seconds of commentary. Do you see that old white guy yelling? ( Five Second Video ) He’s TEA Party. He hates Obama. He’s racist. ( Six Seconds ) The uninformed and uninformable accept this without a second thought. These are the people that accepted that Obama was smart, new, and would bring America together in a new Utopian age of harmony and environmental resurrection. These are now the people who think “Washington is broken”. See, its not Obama that’s doing a bad job. Obama really wants to do well, but the government is just broken. We can’t blame that on Obama. So they see us out there fighting like hell to save this country and they don’t even understand what it is we’re trying to save this country from! We’re angry, and they don’t know what we’re angry about. We’re frightened, and they don’t understand what we’re so horrified by. (Yes, I can end many sentences with prepositions). Do you realize how hard it is to explain to people that have absolutely no interest in how government works that we’re upset because our government is no longer following the Constitution? They don’t know what the Constitution is or what it says or what it means or that our commitment to it has been the only thing standing between our liberty and a future of Fascism or Communism or a Theocracy. They don’t understand Capitalism or that it was Capitalism that led to American prosperity. Most people don’t actually associate facts like a 17 Trillion Dollar Debt with the reality that such a number is a serious problem. We can yell and scream all we want about the debt and most people just look at us like we’re crazy. If debt was really a such problem for the government, they’ll say, then why hasn’t society crumbled? What makes you think it’s going to crumble now? See, this is the reality that the TEA Party has to get comfortable with; most people will not support us until the economy crashes, marshal law is imposed, and they go hungry for a few weeks. That is why after a couple weeks of thinking about this problem (and I’ve wanted to write about this for a long time) I believe I have a solution. This is going to be a hard solution. It will NOT come naturally. The Freedom Movement needs to be a loud, positive, exciting campaign. No matter how angry we are (and we NEED TO STAY ANGRY), when we’re out there talking to people, we mustn’t speak from a place of anger. The Liberty Movement must be a movement of people who are excited to be free. “You oppose us? That’s ok, we understand some people like being controlled and ruled. You’re loss. But not us! We’re going to be free. We’ll go find someone else to talk to, someone else to be excited about our freedom with”. The damnable thing about all of this is that we conservatives are the happy ones. We don’t want to spend all of our time trying to rule people, to govern people, to control people, to write laws and regulations for every imaginable issue under the sun. I mean, Lord Knows, we want to be with our families and friends, we want to be at the beach or a golf course or a pond. We want to sit in the backyard, with a table of steamed crabs (sorry PETA, but they are yummy), a cold beer, and an Orioles game on the radio. (Baltimore roots here). We want to laugh and share our lives with our friends and families and be happy. This gets harder when the government continuously infringes upon our liberties. We happy people… We free people… We feel it in our bones! It’s a constant irritation and distraction. What is the TEA Party? The TEA Party are the people that have had enough. We want to live and love and play and work, but the government is getting involved in every aspect of our lives and frustrating all of our desires, frustrating our free will. So we’ve got to put a lot of the things we’d rather be doing on hold to fight the Republican and Democrat Establishments. That sacrifice is frustrating. That we have to spend our time on this is worth being angry over. That said, we need to be conscious of the impressions the Left uses as its most effective weapon. When we go out, it must be a positive thing, an exciting thing, a fun thing. Sure, we can BOO people who lie and who want to serve as the party-poopers to our liberty. But let our excitement be the public face! Friends, I know that you love life! You are happy people who love your families and your friends, your hobbies, and your jobs. Why should politics have to be the place where we’re constantly yelling and screaming? Let’s treat the liberty movement like a job or a marriage. Let’s approach it with open eyes and open ears, and a passion to succeed. Why are we angry? Because we’re paying attention. The people who aren’t paying attention don’t understand this and it is impossible to explain. The Democrat and Republican Establishments, who prey on the ignorance of the masses, will write the headlines to define our anger. Let’s make their life difficult. Let’s make them write headlines to describe our excitement. I know some of you will disagree with me, and that’s ok. That said, I want you to go to YOUTUBE and start watching video of Ronald Reagan, then of Sarah Palin and Ted Cruz, speaking in public. I want you to feel their excitement. I want you to get caught up in their positive attitude. 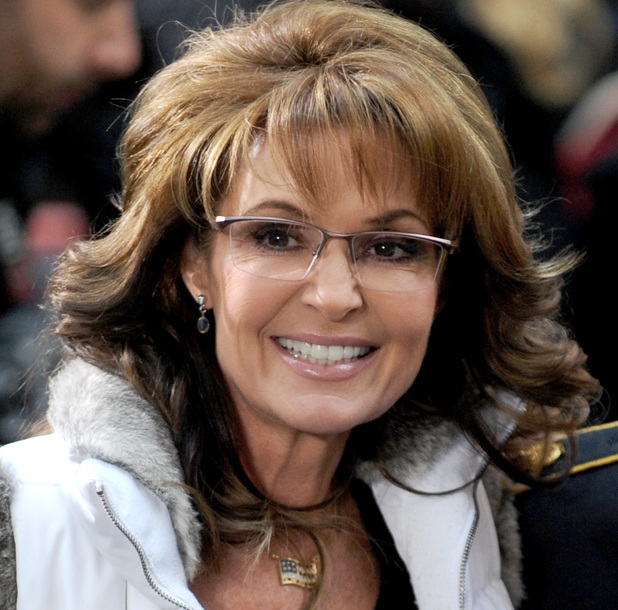 I think Sarah Palin is the most effective TEA Party spokesmen in America. (And I’m a Libertarian). Her attitude should be our attitude. Hell, look at the guys from Duck Dynasty. Look how light and happy they are in the face of controversy. I can tell you the key to their attitude, if you’re interested… It’s faith. It’s hope. My libertarian-friends may be horrified by what comes next, but… Faith and Hope come from a strong personal relationship with God. Maybe we could spend a little time remembering that this is our foundation, a little time centering our lives on that, and maybe we can truly become a freedom movement more difficult to demagogue. You see, that is how it is done! ← MORE UKIP SUPPORT; SUNDAY POLL shows UKIP with a lead among those CERTAIN to VOTE!